Market regulator also announces measures for mutual funds sector. Capital market regulator Securities and Exchange Board of India has introduced more checks and balances for mergers and acquisitions involving unlisted companies to curb manipulation. The move comes in the wake of instances where unlisted companies are merged with listed companies with ulterior motives. Sebi also announced a number of measures pertaining to the mutual fund sector, allowing it to invest in newer instruments, such as real estate investment trusts (ReITs) and permitting fund houses to use celebrities for industry-level advertisements. Besides these, Sebi also cut turnover fees by 25 per cent paid by brokers. “This will result in reduction of overall cost of transactions and will benefit the investors and promote the development of securities market,” Sebi said in a release. It also eased the eligibility criteria for municipalities to issue municipal bonds and enabled digital payment to Sebi by intermediaries. The tightening of M&A rules is aimed at further safeguarding the interest of public shareholders in listed companies. Under the new guidelines, the public shareholding of the resultant entity created by the merger of an unlisted and a listed company has to be more than 25 per cent. “The objective is to have wider public shareholding and to prevent a very large unlisted company to get listed by merging with a very small company,” said Sebi. Further, the unlisted entity will only be allowed to merge with companies listed on exchanges that have a nationwide terminal, such as the National Stock Exchange and BSE. The market regulator also clarified that the pricing formula specified under the Issue of Capital and Disclosure Requirements regulations shall be applicable in cases where shares are being issued to select a group of shareholders instead of all shareholders pursuant to the scheme. The move comes after a recent merger involving insurance companies HDFC Life and Max Life had raised questions over non-compete fees paid to the promoters of the Max group. “The regulations attempt to ensure the rights of the public shareholders are protected and also give them a greater look-in on merger with unlisted subsidiaries, said Sanjeev Krishan, partner and leader (deals), PwC India. 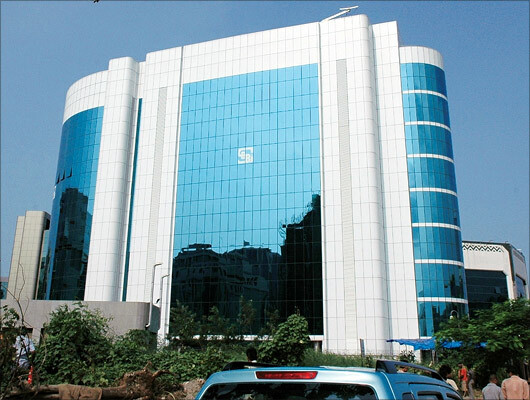 Sebi further said that companies would be required to submit a compliance report confirming compliance with the circular and accounting standards duly certified by company secretary, chief financial officer and managing director. “Now Sebi would be able to effectively intervene by raising objections in a scheme, before a high court approves such schemes,” said Sumit Agrawal, partner, Suvan Law Advisors. Sebi permitted the Rs 16.5-lakh crore domestic mutual fund sector to use celebrities for endorsements. The rider is celebrities can only be used for industry-level ads and not at the fund house or the scheme level. Sebi also tweaked the way MFs publish their scheme performance in advertisements. “Performance of MF schemes shall be advertised in terms of CAGR for the past one year, three years, five years and since inception; in place of current requirement to publish scheme’s returns for as many twelve-month periods as possible for the past three years,” Sebi said. “The move was widely expected. It will actually simplify the communication better, unlike earlier when it was very complicated and difficult for investors to absorb the information on particular schemes,” said Dhirendra Kumar, CEO, Value Research. Besides, Sebi has allowed MFs invest instruments such as ReITs and infrastructure investment trusts (InvITs) with riders. Sebi said an MF scheme cannot own more than 10 per cent of units issued by a single issuer of ReITs and InvITs. A scheme cannot invest more than five per cent of its assets in a single ReIT or InvIT. “The proposal is in line with investments in unlisted securities where open-ended funds cannot invest more than five per cent. This is to reduce the exposure to relatively illiquid investments,” said Dhirendra Kumar.